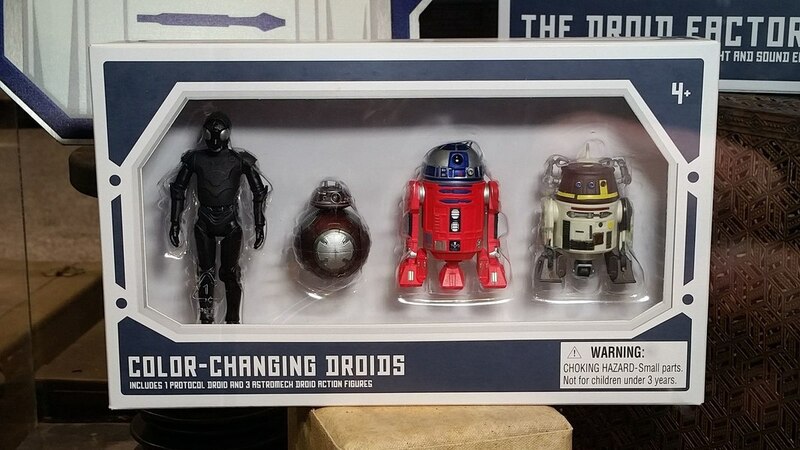 In case you missed it this weekend, Hasbro revealed a new 3.75" Vintage Collection and 6" Black Series figure for their Star Wars lines during the Unboxing Toy Convention in Mexico City. 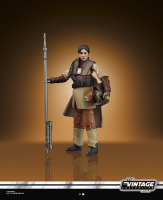 For the Vintage Collection they debuted their Leia Boushh figure which will be the first 3.75 figure to incorporate the PhotoReal technology previously seen on their 6" ones. 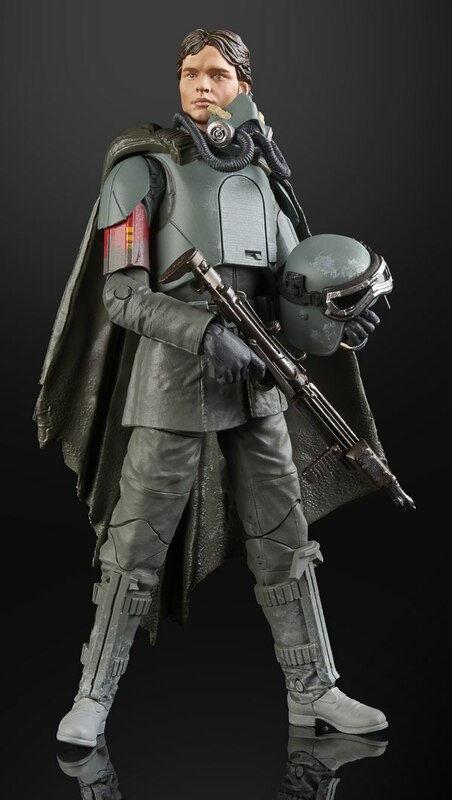 For the 6" Black Series they debuted their Han Solo MimBan figure from Solo: A Star Wars Story. 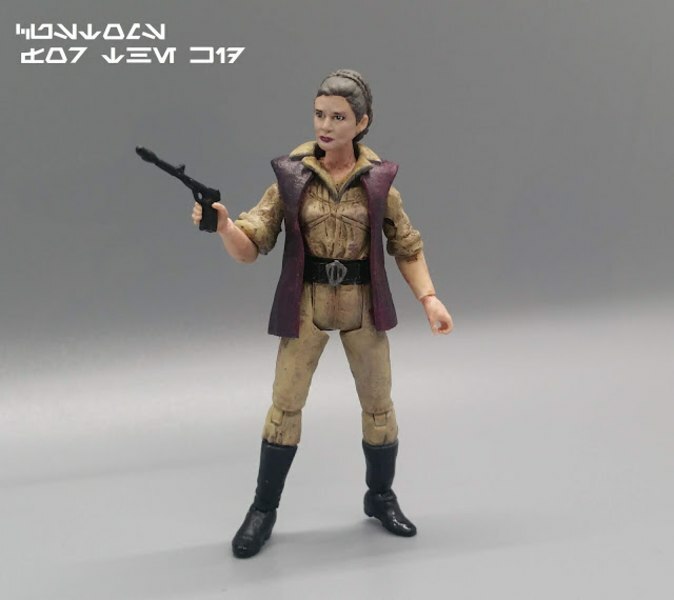 Check out new images of both figures from the Hasbro booth via Pixel-Dan as well as hi-res PR images sent to us by Hasbro. Han's Hand came loose on the Black Series figure that was on display at the Hasbro booth which is likely due to it being a prototype. 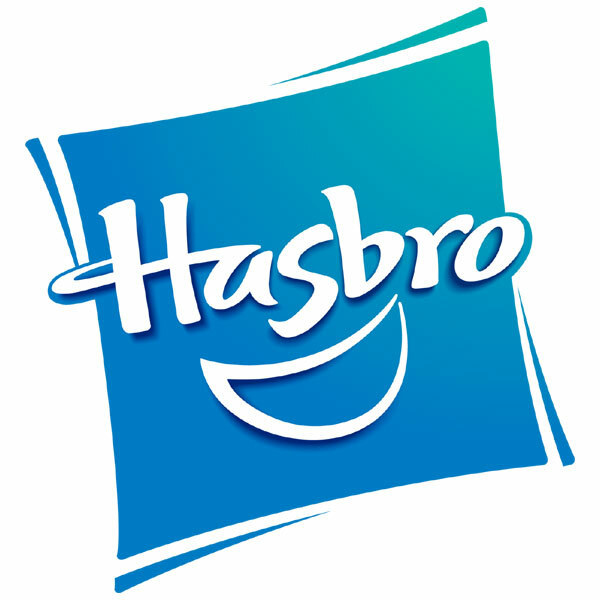 Expect Hasbro to reveal the next round of new Star Wars stuff at the Canadian Fan Expo which takes place at the end of the month from August 30 - September 2. 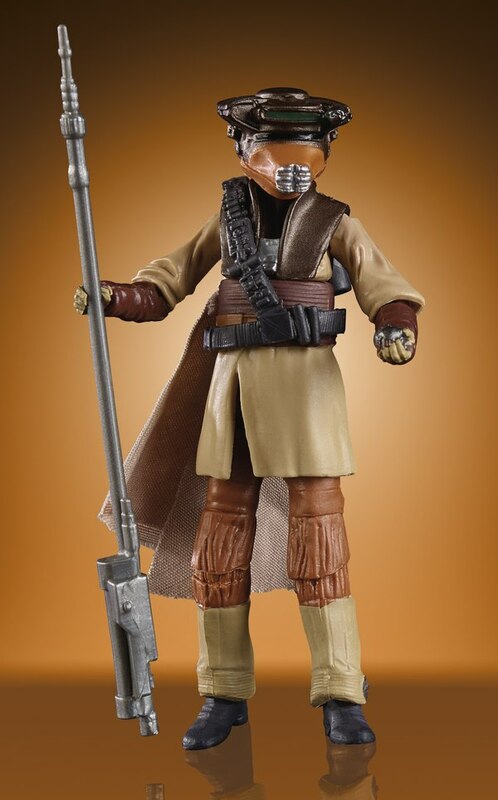 I feel like that Han is going to be wasted production material... As, even though I dug Solo: A Star Wars Story, and grabbed up Han and Lando as soon as I could, I just feel like the movie wasnt popular enough with the mass audience, let alone the intended Star Wars fan community, to really warrant a whole bunch of variants from the movie. 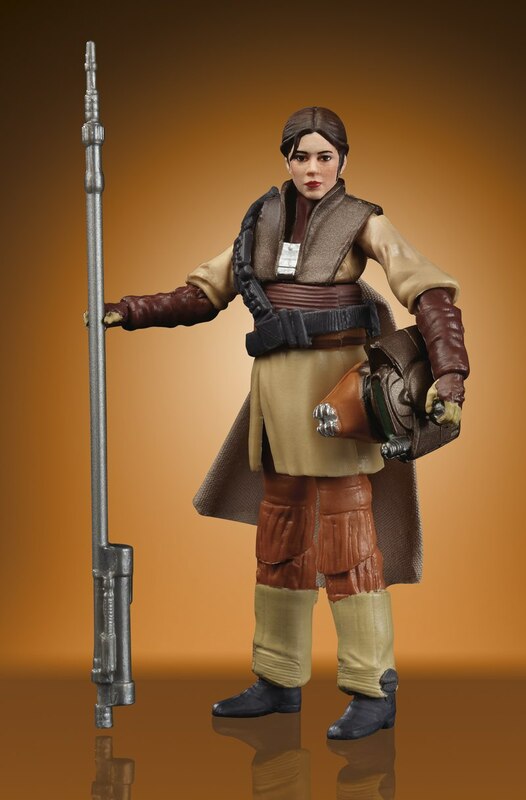 Perhaps with the exception of Qira, as I think they shouldve put out a figure of her as she appears in the latter half of the movie, either alongside, or in place of, the one they already released (which I still have yet to find, myself).Especially considering all of thecharacters people are still waiting for. 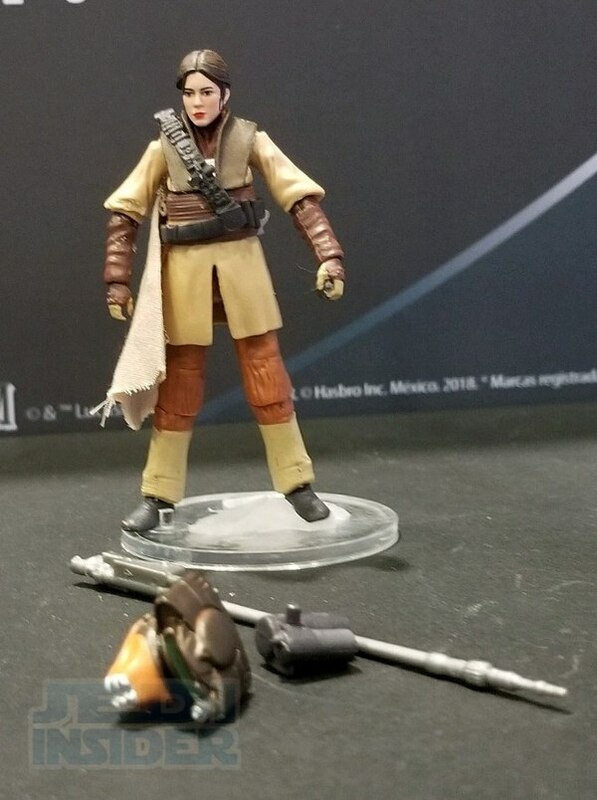 Id have at least likedto see them announce an Archive re-release of Leia in her Boushh disguise, which is another one I missed, via its initial release, since they were already showing off that 3.75 version.
. Han's Hand came loose on the Black Series figure that was on display at the Hasbro booth which is likely due to it being a prototype. 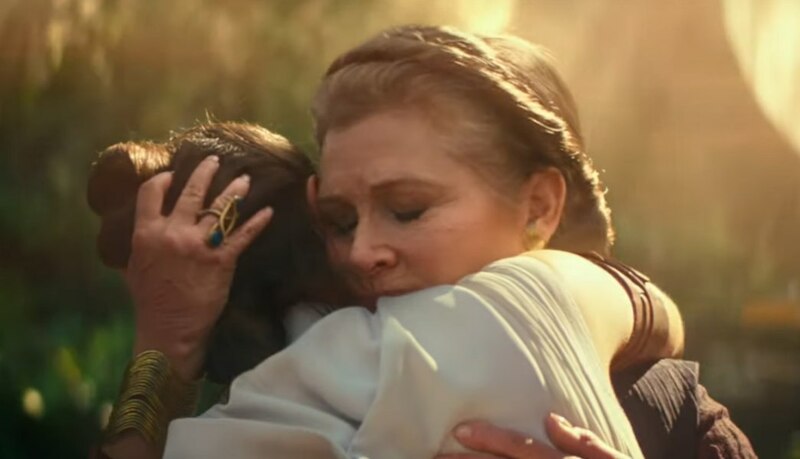 Han Solo's solo hand ? 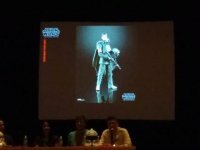 In case you missed it this weekend, Hasbro revealed a new 3.75" Vintage Collection and 6" Black Series figure for their Star Wars lines during the Unboxing Toy Convention in Mexico City. 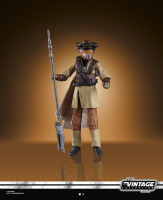 For the Vintage Collection they debuted their Leia Boushh figure which will be the first 3.75 figure to incorporate the PhotoReal technology previously seen on their 6" ones.For the 6" Black Series they debuted their Han Solo MimBan figure from Solo: A Star Wars Story.Check out new images of both figures from the Hasbro booth via Pixel-Dan as well as hi-res PR images sent to us by Hasbro. 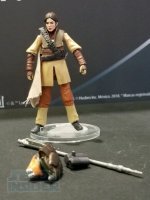 Han's Hand came loose on the Black Series figure that was on display at the Hasbro booth which is likely due to it being a prototype.Expect Hasbro to reveal the next round of new Star Wars stuff at the Canadian Fan Expo which takes place at the end of the month from August 30 - September 2. 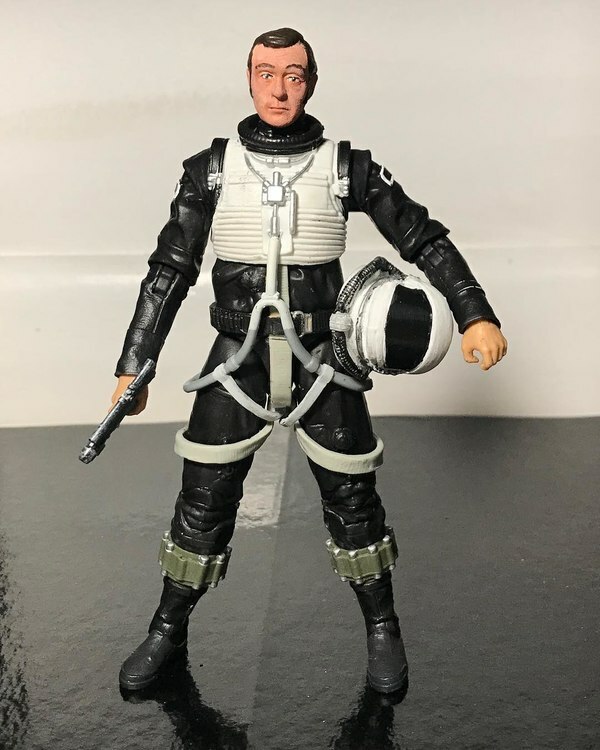 As an Imperial enthusiast, if Han looks good with the mask and helmet on as well, that figure has lots of army building potential. 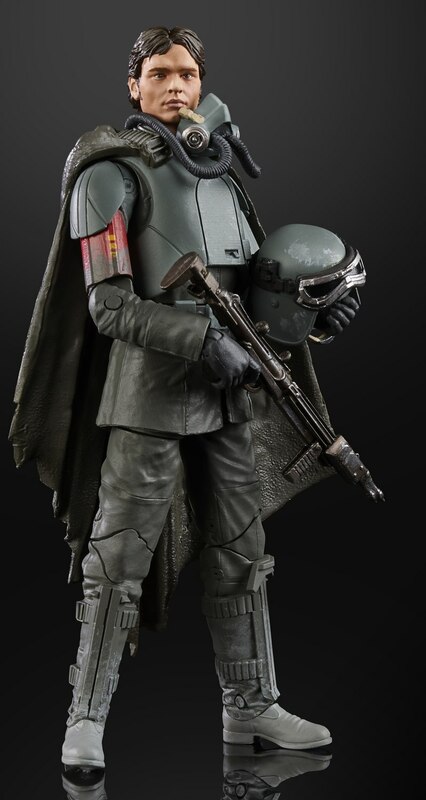 It's not his "disguise" it's his uniform!They should have really had that out when the Solo movie came out! 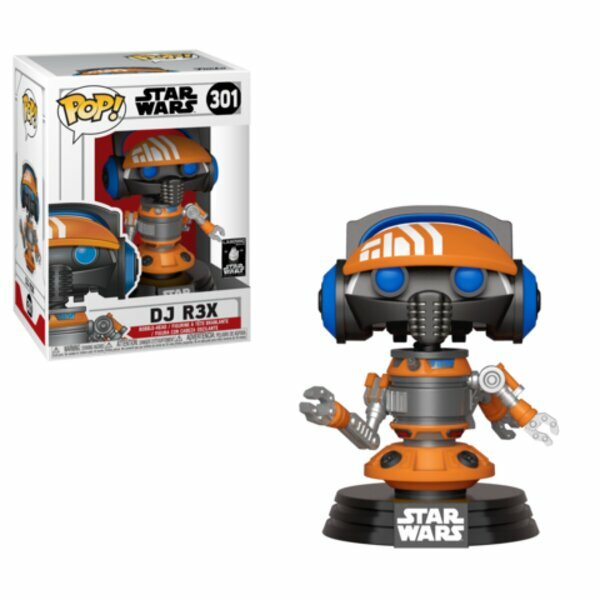 Well, thats all pretty underwhelming... At least, to me. 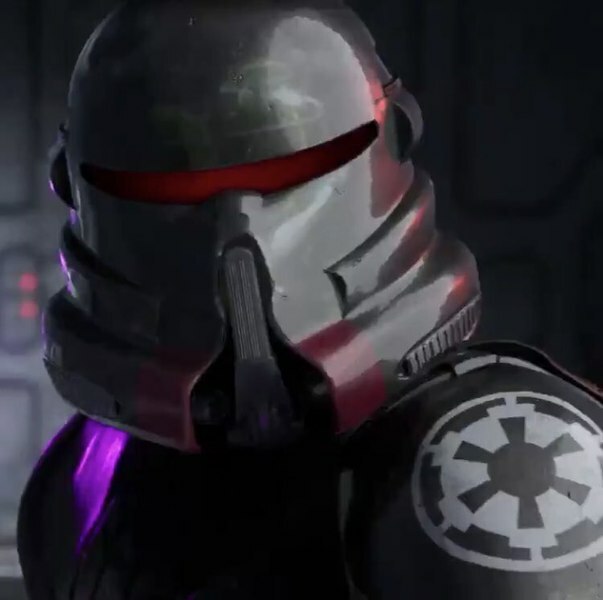 I was honestly hoping we might see them drop a 6 Zeb, to go with Ezra and Chopper. 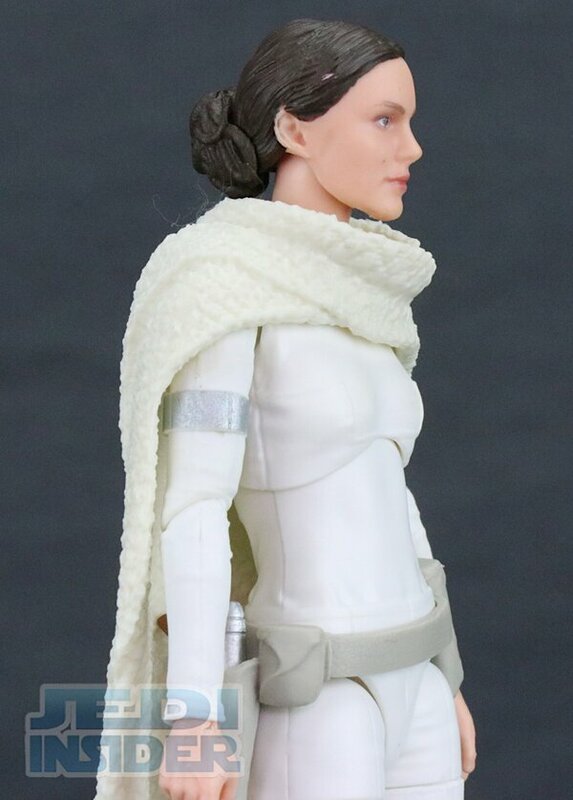 That Han seems like its going to be a waste of production material. 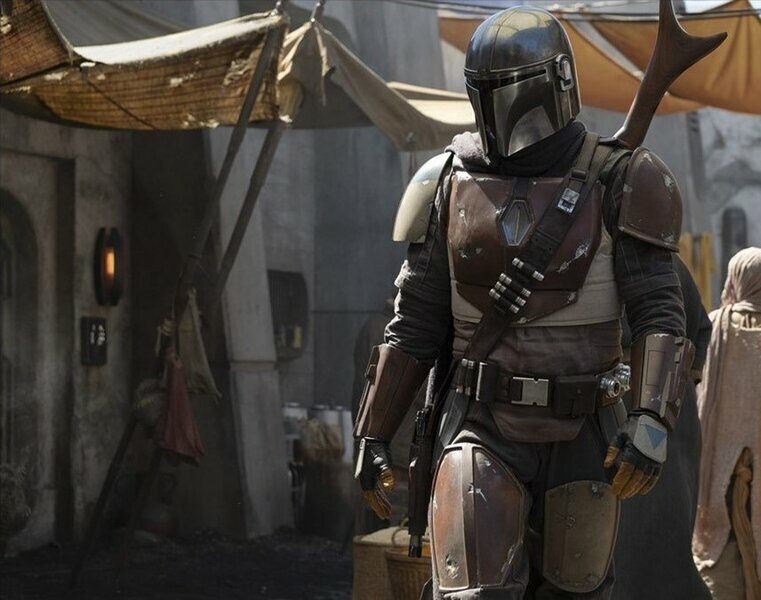 As, I think most of the people who liked Solo like myself would already be satisfied with the regular Han. 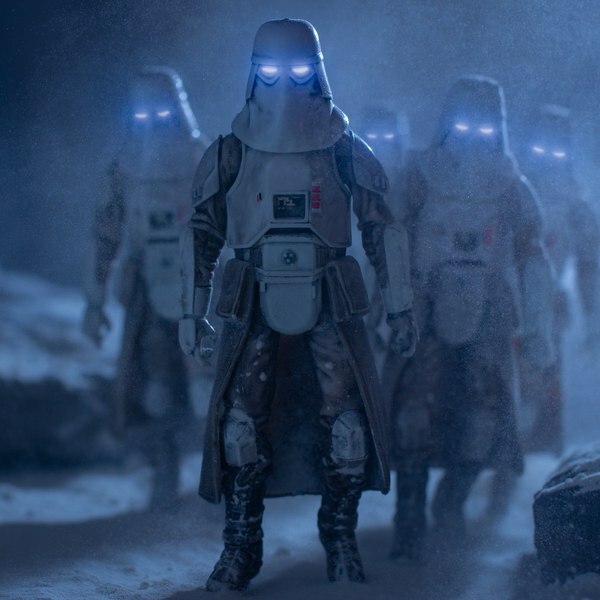 Unless they made an alternate version ofhim in his white vest, as he appearsearlier in the movie.They really wouldve gotten me excited if theyd pulled outa Qira as she appears toward the latter half of the movie, as well. 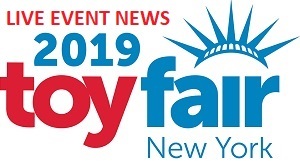 Hasbro is holding a panel today at the Unboxing Toy Convention in Mexico City and we are bringing you coverage of it live. Thanks to the folks with the Magios Initiative for helping us with coverage of this event. 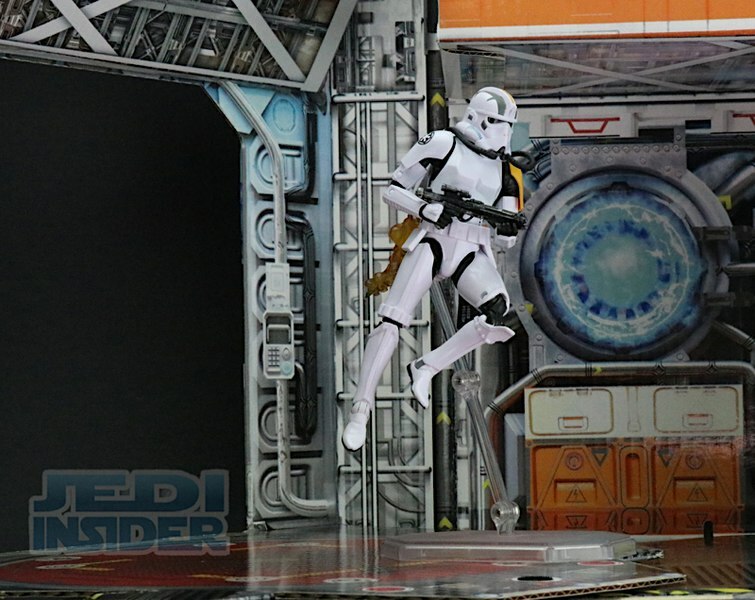 Also thanks to Christian for images.See the live feed. 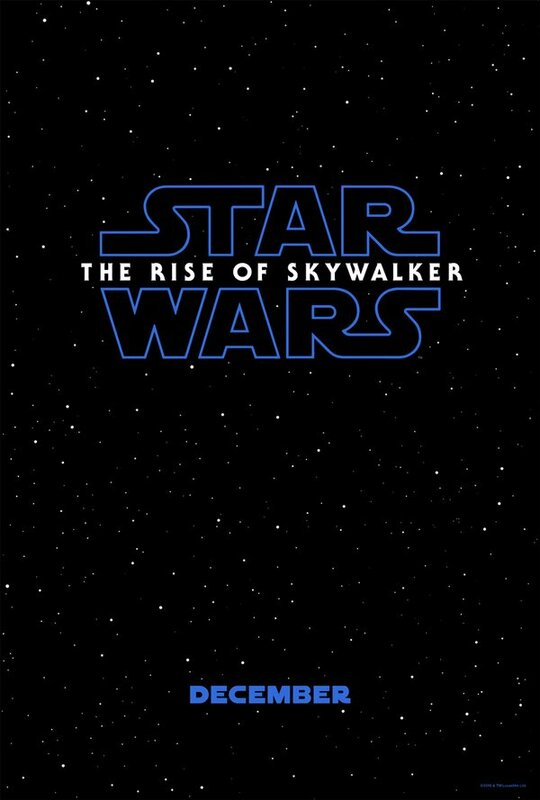 It is in Spanish. Actually they are speaking both English and Spanish. 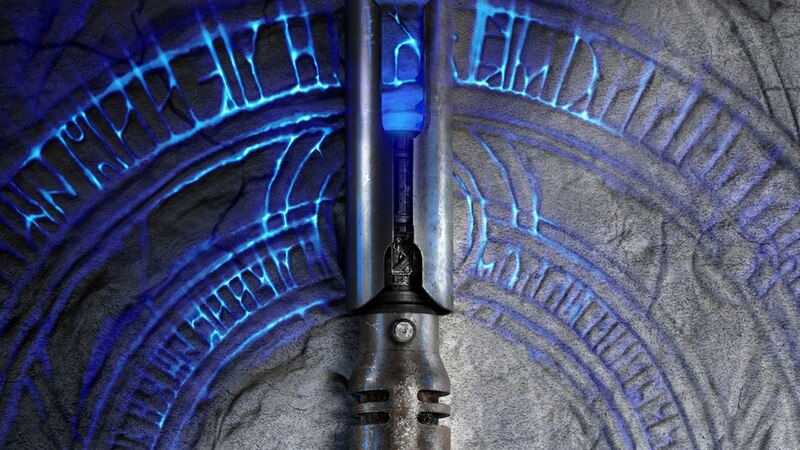 Force FX Obi-Wan lightsaber is shown.Mace Windu's purple FX lightsaber is shown as well. 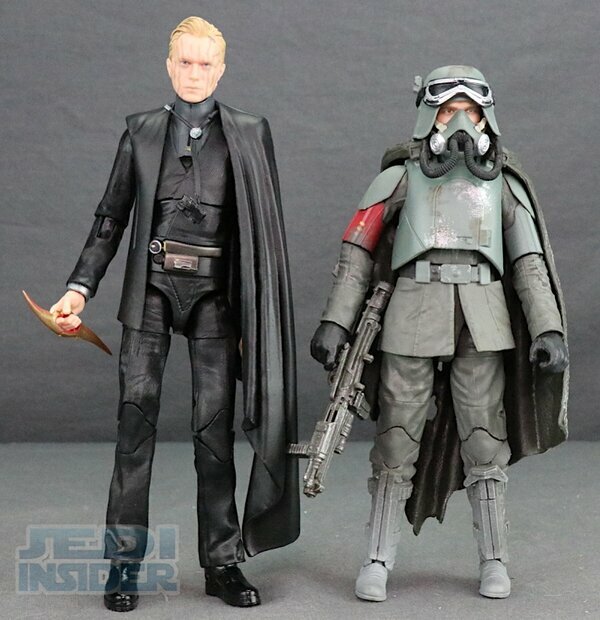 Finally Vaders.Now on to 6" Black Series. 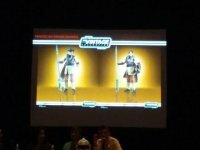 So far they are going over everything we saw at SDCC including the new Ezra figure. 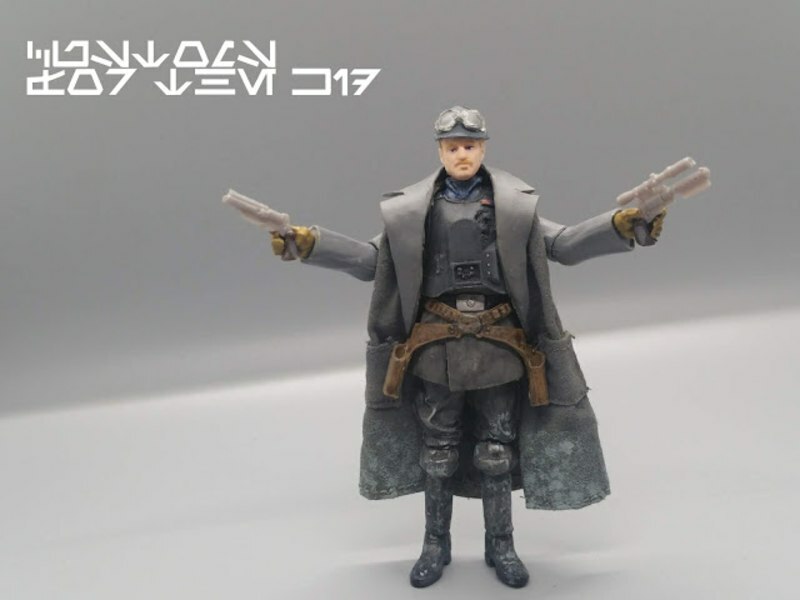 Chopper they mention how the arms will fold into the body and it will have a stand that can be used in place of the middle leg.Right now they have shown nothing new, just the same reveals from SDCC. 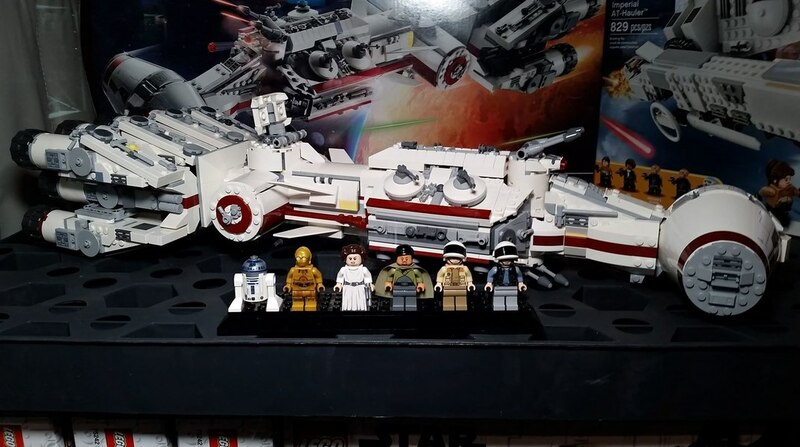 They have moved on to Vintage Collection. 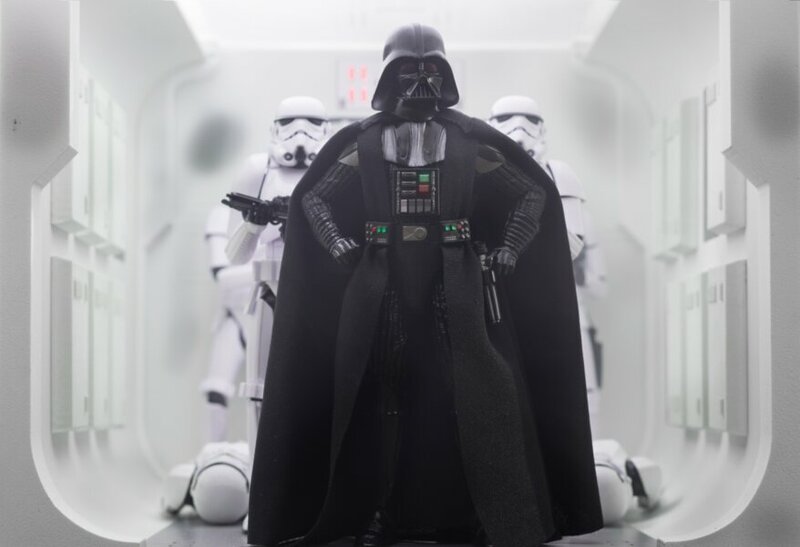 Darth Raven is getting released in the Vintage Collection along with a Rogue One Storm Trooper. 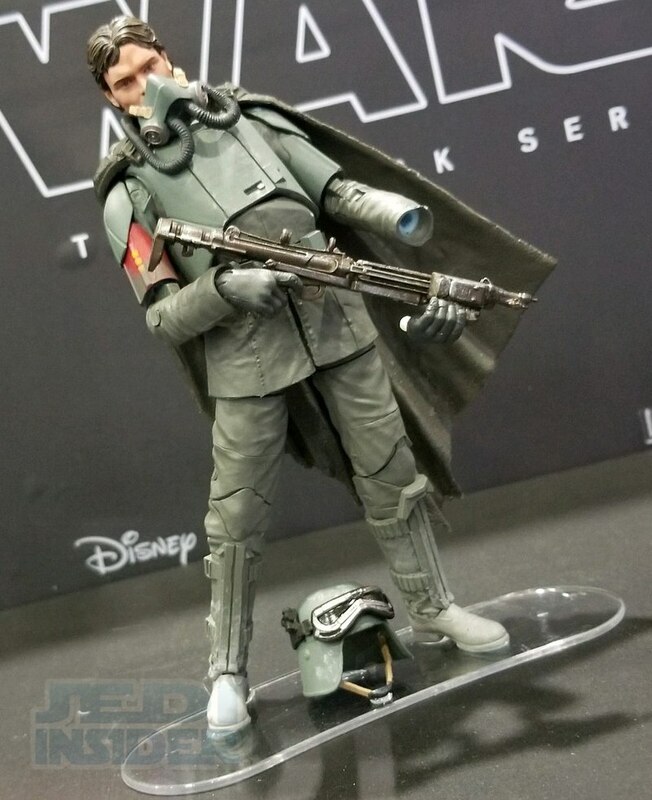 Again we saw these at SDCC. 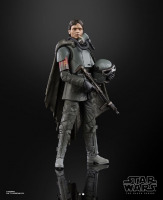 Lando from Solo is coming to Vintage Collection and Rogue One Death Star Gunner. 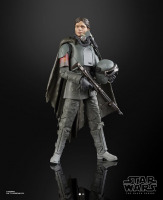 Photo Real is being added to the smaller scale Vintage Collection like we've seen with the 6" figures.Now they are talking about the history and a bit behind-the-scene stuff for Black Series.Here come the new reveals...Vintage Collection - Princess Leia in Bounty Hunter Disguise. 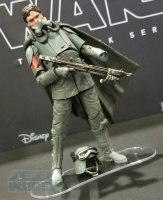 For Black Series 6" they announced Han Solo in Imperial Disguise from Solo movie.Panel ends. 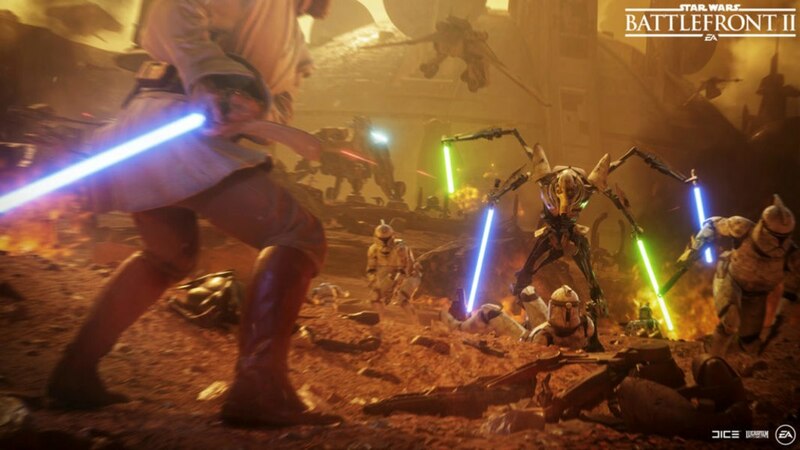 Check out images below. 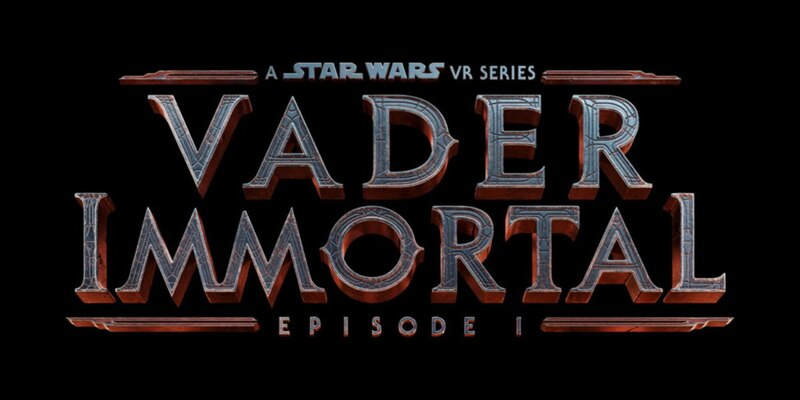 What do you think they'll reveal? 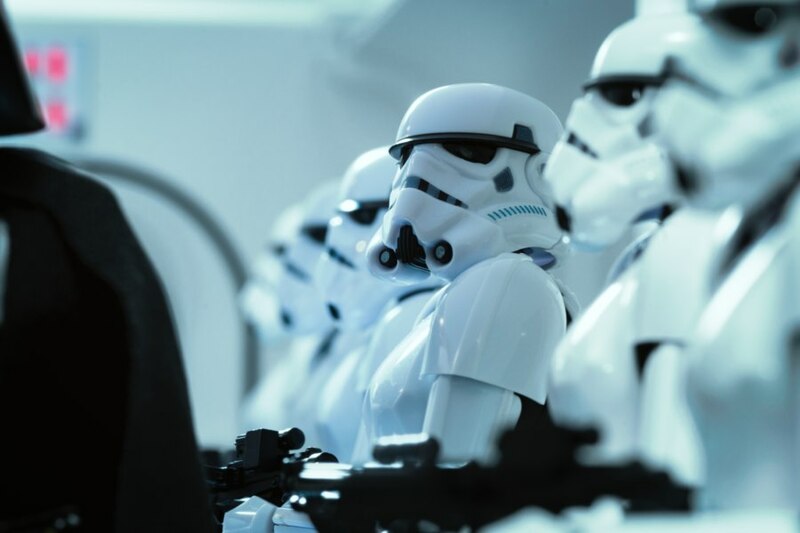 The next wave of TVC? Cannot wait to see what springs up!